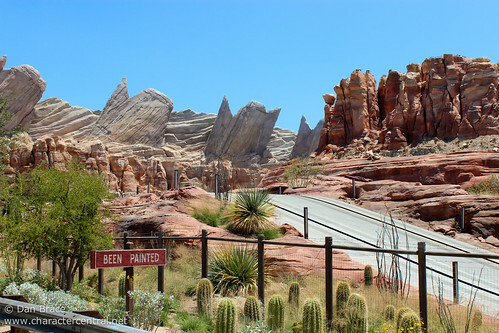 Take a road trip and explore the desert town of Radiator Springs along the famed Route 66. With quirky stores, excellent local food, and a friendly bunch of characters that'll make your stay memorable, you'll want to come back year after year! 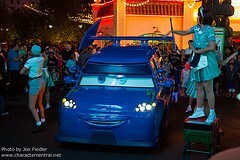 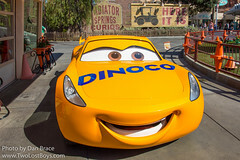 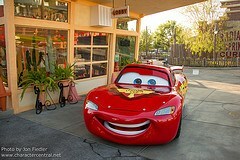 There are currently three Cars characters that meet in Cars Land. 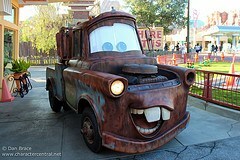 Mater and McQueen can be found all day, every day at the Cozy Cone Motel on Route 66. 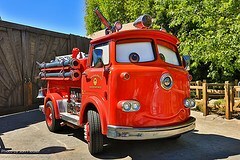 Red the Fire Truck can be either found along the cross road near the entrance to "a bug's land", or at the Cozy Cone when McQueen or Mater are refueling.